Rashaan will attempt to record a remarkable third successive victory in the Tipperary Perpetual Cup at Clonmel on Thursday. Colin Kidd’s stable star has landed the last two runnings of the two-mile Flat handicap and the Bagenalstown handler is hopeful of landing the hat-trick. The smart dual-purpose performer has been a flag bearer for his trainer, having won at Grade Two level over hurdles and also claimed a Grade Three chase at the Galway Festival last summer. 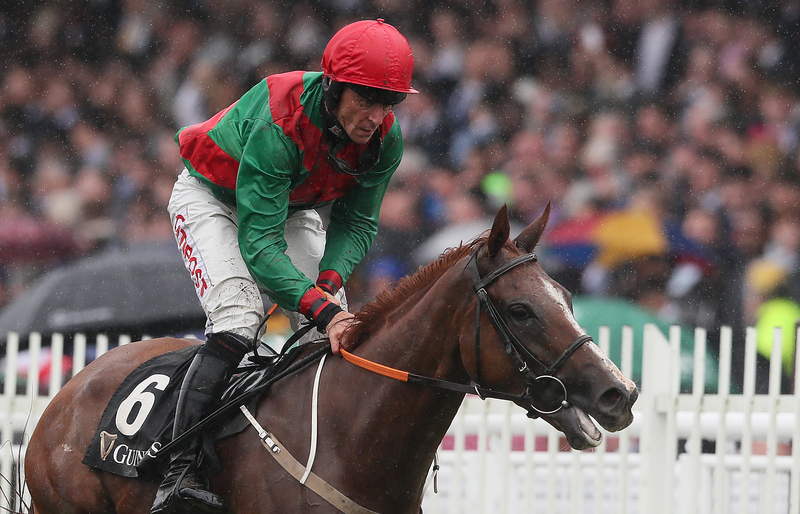 He was last seen finishing third behind Darasso in the Red Mills Hurdle at Gowran Park in February and Kidd is hoping for a fruitful summer campaign with his seven-year-old. “The plan is to run on Thursday and he’s in good form,” said Kidd. “The handicapper has given us a bit of a squeak as he’s only 2lb higher than last year, so we’ll have a go and see if we can get the three in a row. “He won last year on heavy ground and the previous year was good to firm so I’m not concerned about the ground either way. “He’ll run at Clonmel and then he could run again over hurdles over the weekend at either Fairyhouse or Cork. “We’ll tip away over the summer with him and see what way we are going.